A parliamentary panel has recommended that tobacco consumption should be reduced gradually and efforts should be made to use it as a pesticide and other things. The panel noted that tobacco curing and cultivation are destroying forests and contributing to the greenhouse effect. A parliamentary standing committee headed by MP Renuka Chaudhury had tabled a report on May 10. Stating that the financial benefits accruing due to tobacco cultivation were negligible as compared to losses suffered in terms of deaths and the huge expenditure on treatment of tobacco-related problems, the committee recommended that the cultivation of tobacco needed to be discouraged. It also recommended providing incentives to farmers for shifting to other crops and disincentivising the production of tobacco gradually, but definitely. Effective awareness campaigns were needed to discourage the consumption of tobacco in any form, the report read. It added that better coordinated efforts were required by the ministries of health, agriculture, finance, commerce and industry, human resources development, information and broadcasting and environment to tackle the problem. The panel recommended that the environment ministry, in coordination with other government agencies, should take necessary measures and devise ways to minimise fuel consumption by regulating the area under flue-cured Virginia tobacco cultivation using innovative and fuel-efficient designs, thereby reducing the impact of tobacco curing on the environment. “The committee recommends that an Environmental Impact Assessment of cultivation of tobacco needs to be undertaken by the concerned agencies of Government of India in order to know its harmful effects on environment. The Ministry of Environment, Forests and Climate Change should find out the estimated felling of trees for curing of tobacco and its effect on forests,” the report read. The panel said that the effect of chemical pesticides in tobacco cultivation and its effect on crops grown in and around tobacco fields needed to be reviewed. 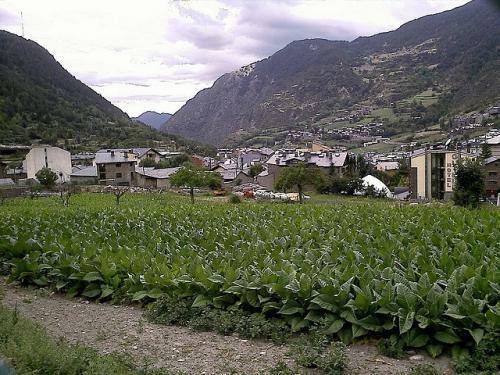 It further recommended that tobacco farmers needed to be educated about the effect of chemical fertilisers and pesticides on the soil quality. They should be encouraged to use organic manures/fertilizers, the report added. It said that the environment ministry should put in place an institutional mechanism in coordination with other concerned ministries to alleviate soil and environmental degradation caused by tobacco cultivation.